Designed and imported from Europe!Are you ready to party on the beach? 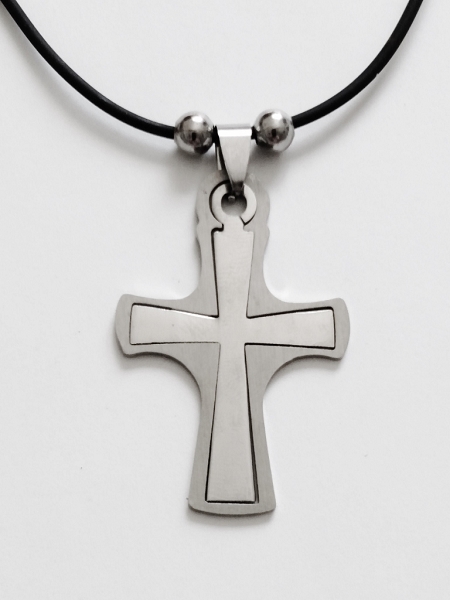 Here is a Contemporary Design Men's Stainless Tone Double Cross Pendant Beach Necklace, nicely crafted from Stainless tone metal and set on a 18" cord. Several more designs of Surfer Style Necklaces and Bracelets are available on our website.